The group was very welcoming to a new member who came to the group for the first time today. A lot of the conversations in the group today centered around how people are coping with the change in seasons and dealing with Seasonal Affective Disorder (SAD). Members felt that they had less energy and had lower moods. We discussed how lack of sunlight and vitamin D can impact people. 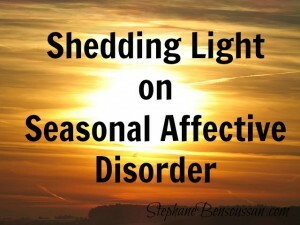 While most people affected by SAD, are affected due to the change to Winter, it should not be forgotten that for some, they are affected by other seasonal changes. We also discussed how people crave more carbohydrates but too many can lead to feeling sluggish, so we reminded ourselves of our food and mood session, noting that eating plenty of greens, garlic, olive oil, spices and fresh fruit and veg and oily fish can all help to combat feelings of depression and tiredness. Write things down to express feelings….paper never answers back and never gets fed up with you. Next Post Are you stronger than you think?